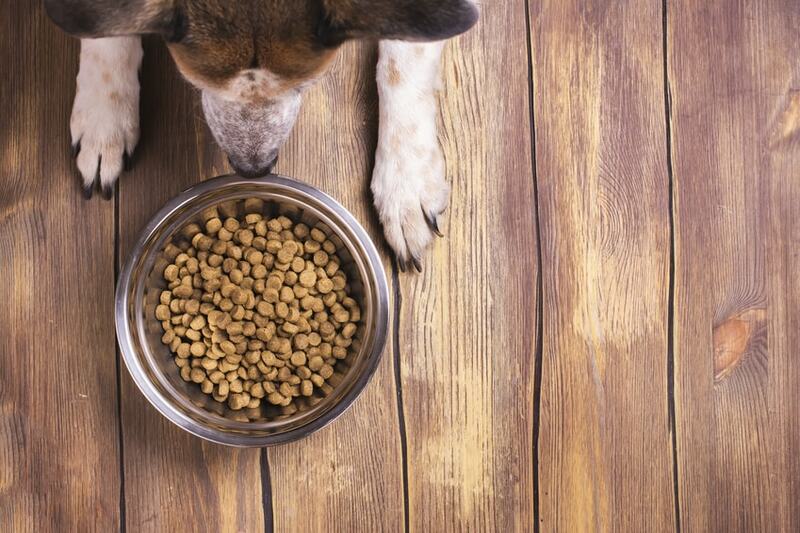 A vast majority of pet food manufacturers offer a larger variety of dry foods than wet foods. One of the few exceptions to this rule is the Evanger’s Dog & Cat Food Company. Founded more than 75 years ago, they specialize in the production of high-quality canned food products for dogs, cats, and other animals. This company does offer a limited selection of dry foods, but they put more effort into promoting their canned products – the even sell their canned foods as mixers for their dry foods. Evanger’s is an independently owned company that produces all of its own products in company-owned facilities. The company website states that their pet foods are “made with completely human-grade, highly palatable and nutritious” ingredients that will satisfy even the pickiest of eaters. Evangers cooks their products in a unique process that preserves the nutritional integrity of the raw ingredients, cooking them in their own natural juices. The Evanger’s Dog & Cat Food Company was founded all the way back in 1935 by Fred Evanger. At the time, Evanger was a breeder of champion Great Danes and an advocate of nutritious dog food as the secret to his success. After building his own canning factory, Evanger started producing high-quality pet foods free from additives and preservatives in keeping with his own strict nutritional standards. Since 1935, they have grown into a major pet food brand but it is still produced on the original site in accordance with the same standards for quality and safety. The Evanger’s company is a U.S.-based company that has been producing and manufacturing pet foods for more than 75 years. What began as a small one-man operation has blossomed into a major pet food company, though their pet products are still made in the company’s original canning facility at the original site. They are headquartered in Wheeling, Illinois which is also where their product are made. Not only do they make their own products in their company-owned cannery, but they also manufacture some private label pet foods as well. Where do they get their Ingredients from? The Evanger’s states that their products are made with human-grade, highly nutritious and palatable ingredients. The company website states that their products are free from corn, wheat, and soy ingredients as well as harmful additives, artificial ingredients, preservatives, and by-products. Evanger’s is adamant that their production processes are superior to those of other pet food manufacturers, citing the fact that their canned foods are hand-packed with raw, natural ingredients in their own natural juices. What they don’t say is exactly where they get their “raw, natural ingredients”. Evanger’s talks about the wholesome nutrition of their products but doesn’t go into detail about the ingredients that go into those products. Evanger’s began as a wet dog food company and though they have expanded their offerings over their 75 years of existence, they still specialize in canned foods. What sets them apart from the competition is the fact that their products are hand-packed in a process that allows the consumer to “actually see the quality ingredients in its original form”. Though they claim to follow strict standards for the safety and quality of their products, these standards have been called into question on numerous occasions. They have not been recalled to date, but they have received several warning letters from the FDA after product testing revealed that some of their products did not actually contain the advertised ingredients. The company eventually sent out a press release stating that they had been cleared of wrongdoing but the FDA says something else – when questioned the FDA stated that Evangers had addressed the violations and that it was solely the company’s responsibility in the future for maintaining compliance with FDA standards. When Fred Evanger set out to create his own pet food, he had the goal in mind of creating a product that belonged in specialty pet stores and that is primarily where you will find these products. Evanger’s dog food can be found at specialty pet stores as well as some local chains – you can also purchase them from online pet food retailers. Their products are also available for sale directly from the company website. Typically they don’t offer coupons on the company website but you can sign up for the company newsletter using your email address to receive special offers. You may also be able to find Evanger’s dog food coupons from individual retailers. The Evanger’s brand is a little more expensive than your average kibble, primarily because it is made with quality ingredients and it is hand-packed. Because they offer so many different types of canned food, you can find one that is affordable for you. Prices vary from one recipe to another, but the cost for a 33-pound bag of their dry food is about $50 to $100. Cans of their wet food vary in size and price from one product line to another. For the Grain-Free line of products, 6-ounce cans come in 24-packs for $40 to $68 and 12-ounce cans of Grain-Free Hand Packed recipes come in cases of 12 for $38 to $53. The Classics line of recipes is the most affordable, averaging about $2.10 a can. The Evanger’s brand began as a wet recipe company and, while it has expanded over the past few decades, wet foods remain the company’s specialty. In addition to offering a wide variety of canned foods for dogs, they also offer a limited selection of dry foods and treats. Many of the same products available for dogs are also available for cats, and Evanger’s is unique among pet food manufacturers for offering products designed for ferrets as well. The Evanger’s company makes some lofty claims regarding the quality of their products. Not only do they use a variety of different proteins, many of them are novel proteins and lean game meats like venison, pheasant, and buffalo. In addition to quality proteins, their products are made with digestible carbohydrates and, in many cases, fresh fruits and vegetables for nutritional balance. While each recipe is unique, the overall quality of this brand is high. This Pheasant & Brown Rice Dry Food recipe is designed to meet the nutritional needs of dogs in all life stages, from puppies to senior dogs. Made with protein-rich pheasant as the primary ingredient, this recipe is also a good choice for dogs that have sensitivities to more common proteins like chicken or beef. Because this recipe features brown rice as the primary carbohydrate, it is highly digestible and a great source of dietary fiber for dogs. As an added bonus, this formula is completely free from corn, wheat, and soy ingredients as well as artificial additives. As promised, the first ingredient in this formula is pheasant. In addition to being a novel source of protein for many dogs, pheasant is also a fairly lean protein. This ingredient is supplemented with several other sources of animal protein including turkey meal, duck meal, and dried egg. That is a very good thing for this recipe because fresh meats like pheasant contain up to 80% moisture by volume. When the product is cooked during processing, much of that moisture is lost which means that the final volume of protein could be much lower. Meat meals like turkey meal and duck meal, on the other hand, have already been cooked to remove moisture so they are highly concentrated protein sources. Duck fat is the primary fat in this recipe which is nutrient-rich and full of flavor. The main source of carbohydrate in this Pheasant & Brown Rice Dry Food recipe is brown rice and it is supplemented by sweet potato and millet. Brown rice is a digestible whole grain for most dogs, though it may trigger grain allergies or sensitivities in some dogs. These carbohydrates are supplemented by several fresh fruits and vegetables which, in addition to providing supplemental fiber, also act as natural sources for key nutrients. This formula does contain synthetic vitamin supplements, but these offer limited bioavailability for dogs – natural sources are always better. There are also chelated minerals which offer excellent absorption and the dried fermentation products act as probiotics to support your dog’s digestion. This Pheasant & Brown Rice Dry Food recipe is formulated to meet the nutritional levels established by the AAFCO Nutrient Profiles for all life stages. Overall, this Evanger’s Pheasant & Brown Rice Dry Food recipe is an excellent source of quality nutrition for dogs in all life stages. This formula starts off strong with a novel protein like pheasant as the main ingredient – it also doesn’t hurt that there are three more sources of supplemental animal protein. This formula relies on digestible carbohydrates like brown rice, sweet potato and millet, though some dogs with grain allergies or sensitivities may have a problem with these ingredients. The main source of fat in this formula is animal-based and nutrient-rich, plus there are plenty of chelated minerals and probiotics. All in all, this recipe seems to offer good nutritional quality for all dogs. This Evanger’s Organics Turkey with Potato & Carrots Dinner is made with certified-organic ingredients – not many pet food manufacturers can say that about their products. Not only is this recipe organic, but it is protein-rich and nutritionally balanced for dogs in all life stages. This organic formula features organic turkey as the main ingredients, supplemented with several fresh fruits and vegetables (organic as well). As a whole, this formula offers excellent nutritional value for dogs in all life stages as well as plenty of natural flavor. It is even certified kosher! As promised the first ingredient in this recipe is organic turkey. Not only is this ingredient protein-rich, but it is guaranteed to be of high quality in order to be certified-organic. The next ingredient in this formula is organic chicken broth. While this may not provide much in the way of nutrition, it helps to maintain the moisture content of this formula while also contributing some natural flavor. The main sources of carbohydrate in this Organics Turkey with Potato & Carrots Dinner are organic potatoes and organic carrots. In addition to being organic-certified, these ingredients are also gluten-free and grain-free which makes them highly digestible and a great source of energy for dogs who suffer from food allergies or sensitivities. The remaining ingredients in this Organics Turkey with Potato & Carrots Dinner consist of thickeners and supplements. Guar gum is primarily used as a thickener in this recipe, though it may contribute some fiber as well. Most of the fat in this recipe comes directly from the turkey which is why the crude fat content is a little low. There are a number of synthetic supplements in this recipe which work with the fresh carrots and potatoes to fill in the nutritional gaps. Unfortunately, synthetic supplements offer limited bioavailability for dogs. It would be better if some of the minerals were chelated – that would make them more usable for your dog. This Organics Turkey with Potato & Carrots Dinner is formulated to meet the nutritional levels established by the AAFCO Nutrient Profiles for all life stages. Overall, this Evanger’s Organics Turkey with Potato & Carrots Dinner is a quality source of balanced nutrition for dogs in all life stages. In addition to being protein-rich, this formula is made with certified-organic ingredients and it is grain-free. It is also a bonus that this formula contains a limited number of ingredients – that makes it a great choice for dogs that suffer from food allergies and sensitivities. It could be improved with the addition of some animal fat and chelated minerals but, all in all, it is a great choice for dogs from puppies to adult.